Now in its 4th Printing! granted. Each Family builds upon the others. You’re always practicing things you learned and using them in a new way. Think like a professional baker from Day One. Used in hundreds of professional cooking schools! What’s it like to be an American apprentice in a Parisian Pâtisserie? Read Michael’s introduction to his award-winning book. "Inventing the Five Families of Bread"
To shop, click on an image. 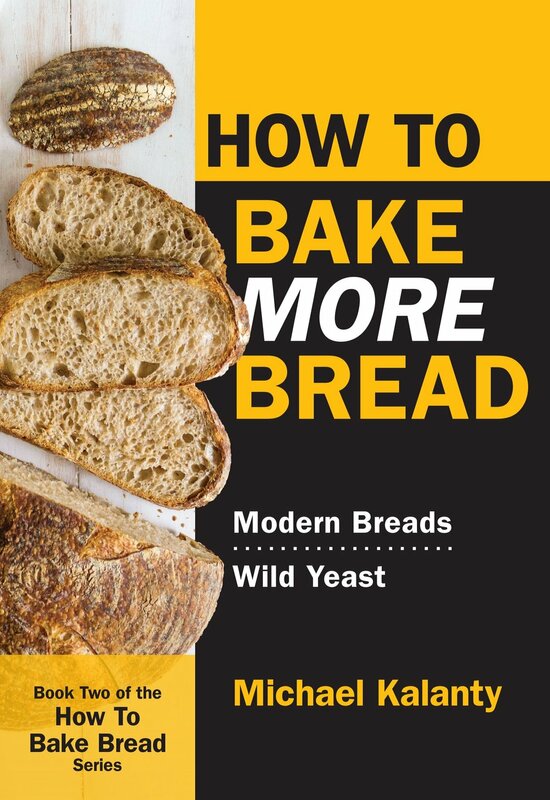 How To Bake MORE Bread demystifies sourdough and natural fermentation. The approach is simplified and the breads are modern. The book begins with complete process for “Pain au Levain”, the classic French sourdough. It’s so clear even a beginner can become a successful home baker. The other bread recipes build on the basics and, thanks to ingenious home modifications and step-by-step color photographs, even the cutting edge techniques like Porridge Bread are easy to grasp. 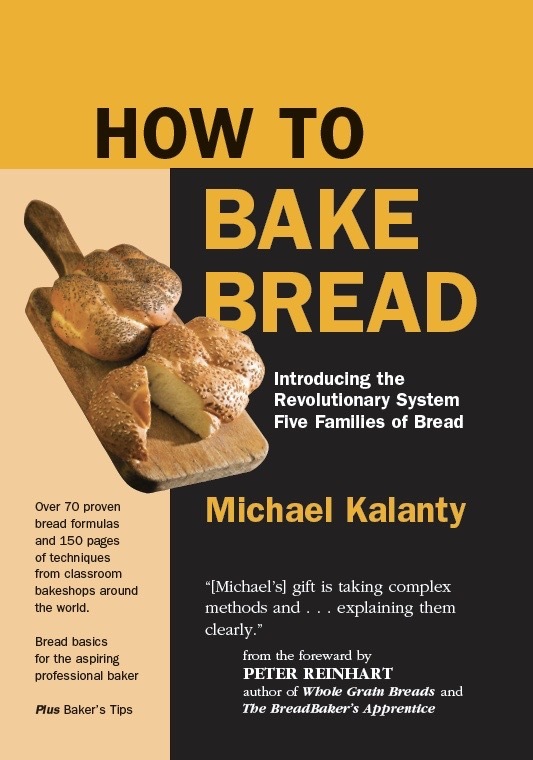 What does the foremost bread scholar say about Michael’s second bread book?